This year our garden was an unqualified failure. Between the slugs and the shade, none of my poor pumpkin vines made it to the orange pumpkin stage. 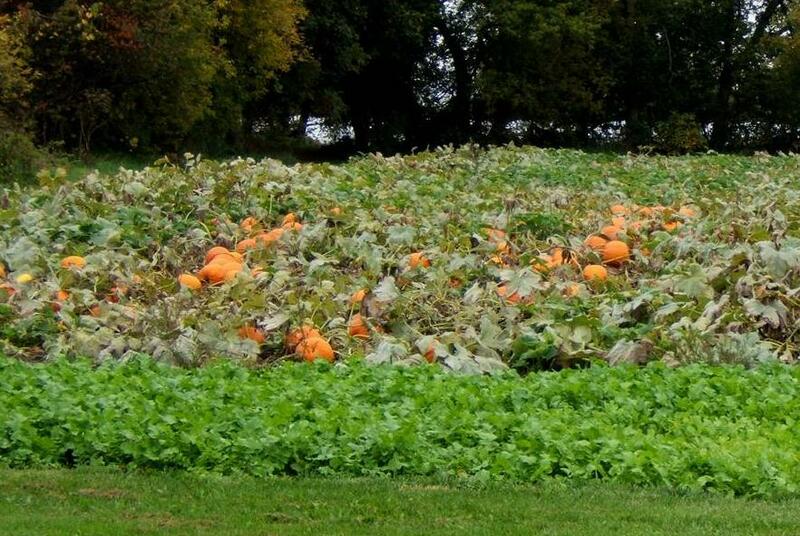 But in the past, we have had worthy pumpkin patches. One year our pumpkins were so prolific, one of the vines even strayed upward, into a maple tree. In October, we had an orange pumpkin in the tree, about four feet above the ground. 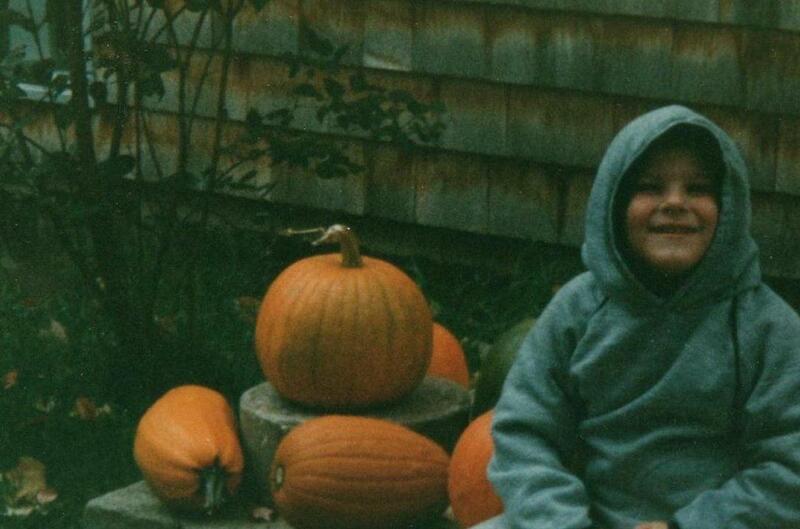 This year, my pumpkin sightings have been in other people’s gardens and in the bins at the grocery store. At least I am spared the desperate efforts of the past, to squeeze one more day of growing from the season, by covering the pumpkins before the frost.